Three years ago, while researching some of the various college lab schools, we happened upon a program called Nature Explore. 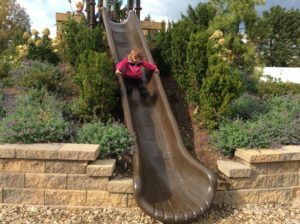 As a company, we were in the process of trying to come up with more creative ways to engage our children on the playgrounds at our schools. 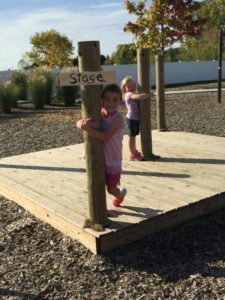 We wanted the children to have a more rich experience, rather than just an area to run and play. A couple of our directors drove to Columbus to take the Nature Explore training and we were hooked. We had found exactly what we were looking for! We were amazed at the design of the outdoor classrooms and inspired by the benefit of providing a natural outdoor experience for our students. 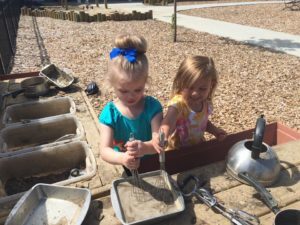 Each of our schools has adopted a Nature Explore Outdoor and at our newest school, we specifically designed our outdoor area around the Nature Explore concept, providing a “park-like” feel to our outdoor classroom that still provides the safety of being enclosed. 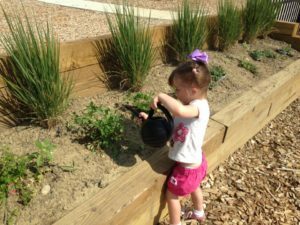 Our outdoor classroom features a large garden area that the children and parents helped to design and the children have planted and cared for all summer long. We have a large tunnel that was recycled and donated by a local business. 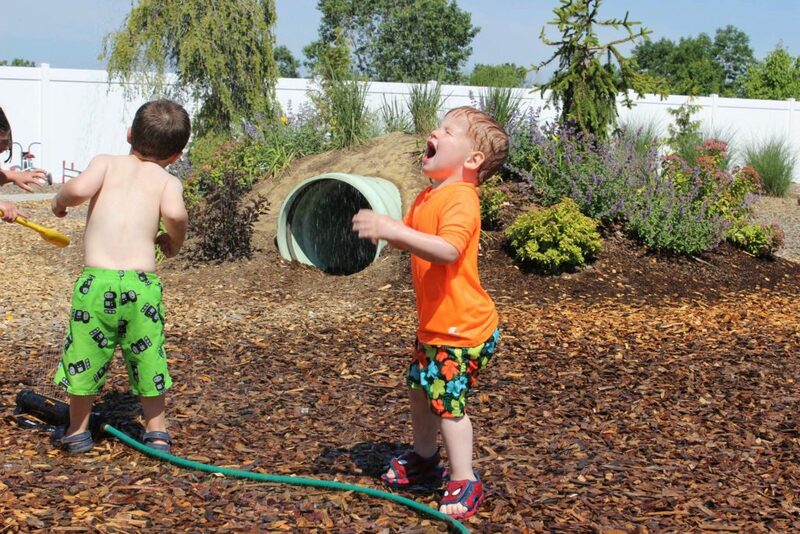 Landscaping over the top allows children to climb on top of the tunnel as well. Our “Magic Mountain” is a large hill slide that when going down, the children travel through flowers and trees. We have an evergreen corner that when grown, will provide a forest feel and allow the children to run through and gather pinecones and other exploration. 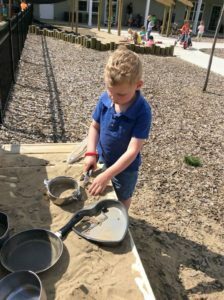 We have a mud kitchen and a large sandbox for imaginative play. 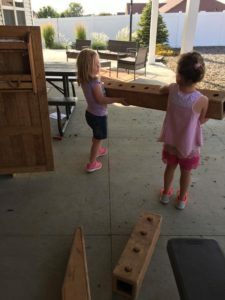 On our patio, the children have a block and building area and an outdoor art area. A large landscaped bike path circles the entire classroom. We still, however, have big plans for our classroom. 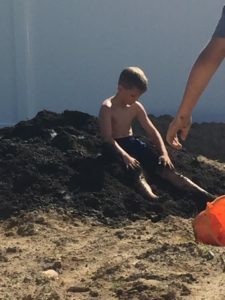 We will be installing a zero-radius waterfall as a water feature for the children to walk in and gather water for the various activities we have outside and we plan to build a pergola over the sandbox to provide a more permanent shade feature. When opening our new school this past year, the biggest selling feature we had when building our enrollment was our outdoor classroom. While touring new families, the last stop was our Nature Explore Outdoor Classroom.